Our theme image this week shows a type-setter at work. It comes from the collection of the Netherlands National Archives and is part of their Flickr stream. 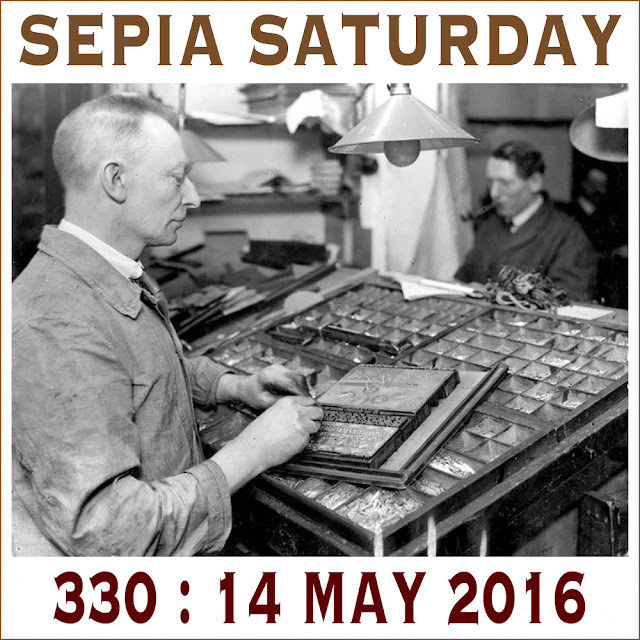 Whatever type of old image you want to share for Sepia Saturday 330, just include it in a blog post, post your post on or around Saturday 14th May 2016 and then add a link to it on the list below. The chances are that the type-setter featured in this image will have had a full range of lead letters in the tray in front of him - everything from A to Z. This reminds me that we are nearing the end of our "theme within a theme" and the beginning of July will see a new set of theme images covering the period July - September 2016. The new images are all taken from old photographs which have been contributed to the Sepia Saturday Flickr Group. 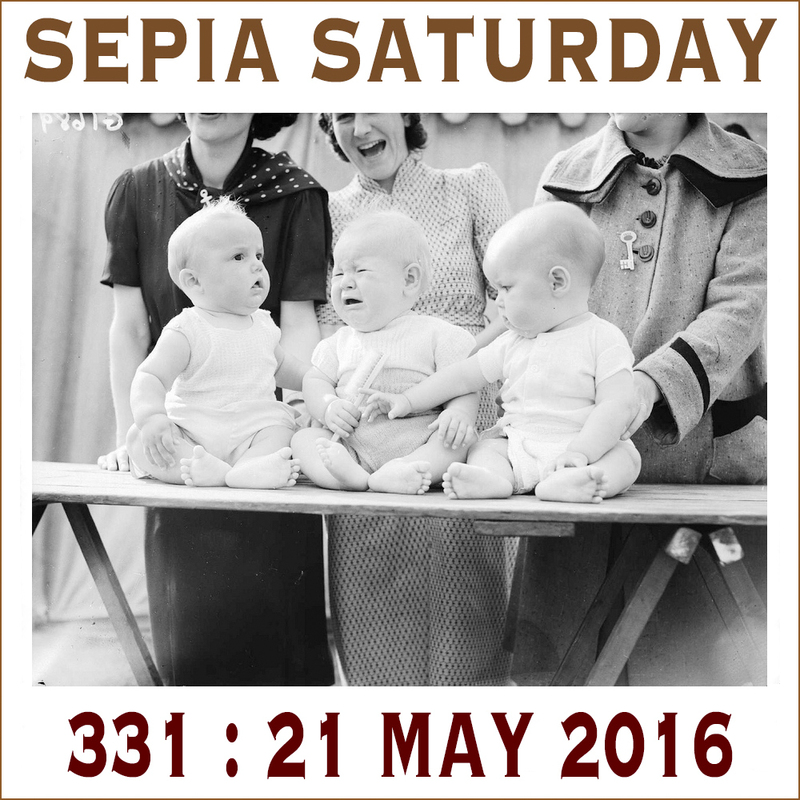 The images for July are based on my own old photographs whilst the ones for August are based on photographs contributed by other Sepians. 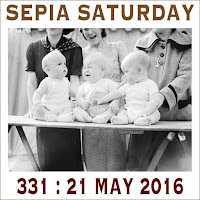 I still need to put together theme images for September so if you have any images that you think might be suitable, just add them to the Sepia Saturday Flickr Group collection (and don't forget to make them copyright free so that we can use and circulate them). The full list of future theme images can be found in the post which is featured in the side-bar. The next two theme images are the ones below. That is all for the future and for those who like to look ahead. 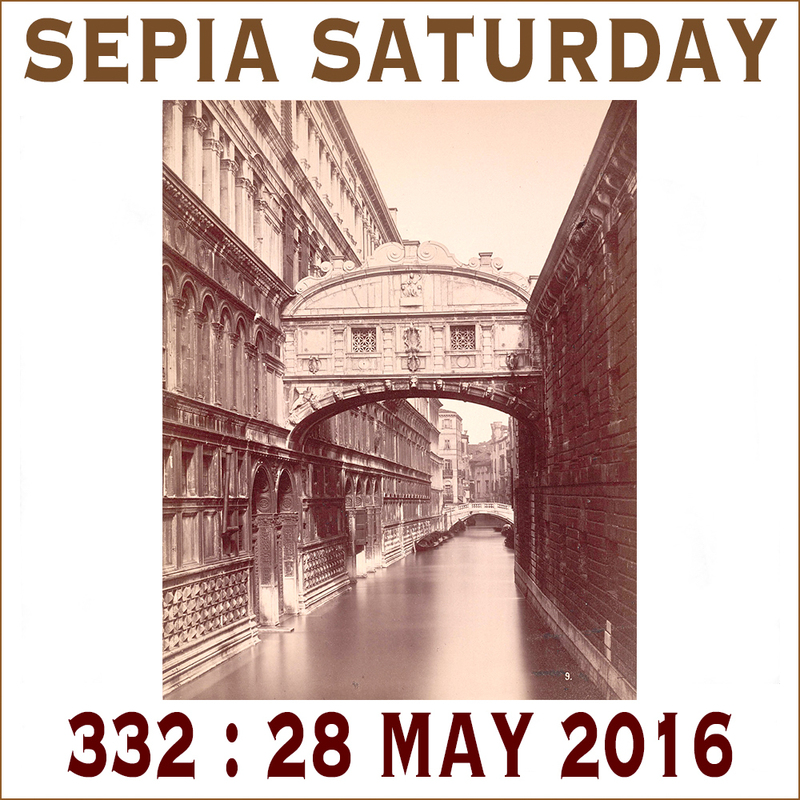 Now it is time to revert to type and to prepare you contributions for Sepia Saturday 330.
edit me. I need an alarm button that blasts "Help me - I can't get away from my Sepia Saturday post!" Fortunately on most days, the sun goes over the yardarm eventually, and the lure of my nightly glass of wine is a siren call sufficient to break the chains of Sepia Saturday. Mostly about my experience with newspapers. I’m still staying in the Shakespeare groove whilst I can! A subject right up my work alley. Trying to track family occupation isn't easy. I am late, and it's been so long since I posted here that I quite forgot how to post. Hope it comes out ok.
Just a few tools I found in the shed. Amazing where the search term "type" led me....what does Menahonie mean I wonder? Stop the press - I'm in. I got delayed this weekend with other activities, so instead of letter A I will be letter Z. Musical of course. Better late than never, a typewriter poem from August 2013.